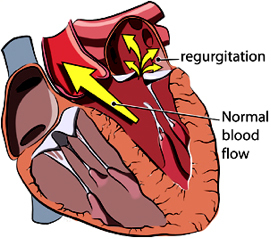 Stage B1 refers to a patient that has developed a leak across its valve, but the condition has not yet caused enlargement, or “remodeling” of the heart. Stage B1 is therefore considered an early and mild form of the disease. Dogs can remain in Stage B1 forever. However, CDVD is a progressive disease process and can worsen over time.